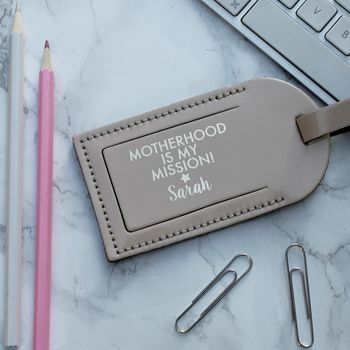 A stunning personalised leather luggage tag with metallic print - perfect Mother Day gift! Also your message can be printed in metallic gold, silver, red or blue. Leather luggage tag is Taupe patent in colour.